High-definition colorful pattern heat transferred onto a flock and into rubber back. These front door mats have exciting, full color, high-definition, decorative, top surface designs. The top surface is made of flocked fibers, which provide fine scraping action and trap dirt. The entire base is made of 100% recycled rubber, which provides durability and helps to reduce movement. These decorative door mats are easy to maintain: dirt, pet hair and lint won't damage the surface - simply hose off to clean. Excellent quality and helps the environment. Our 100% recycled rubber back door mats are made from tire scraps. When you purchase this item, you are helping to keep America clean by keeping these tires out of landfills! Beautiful door mats made in the USA. These colorful front door mats have decorative, exciting, full color, high-definition, top surface designs. The top surface is made of flocked fibers, which provide fine scraper mat action and trap dirt. 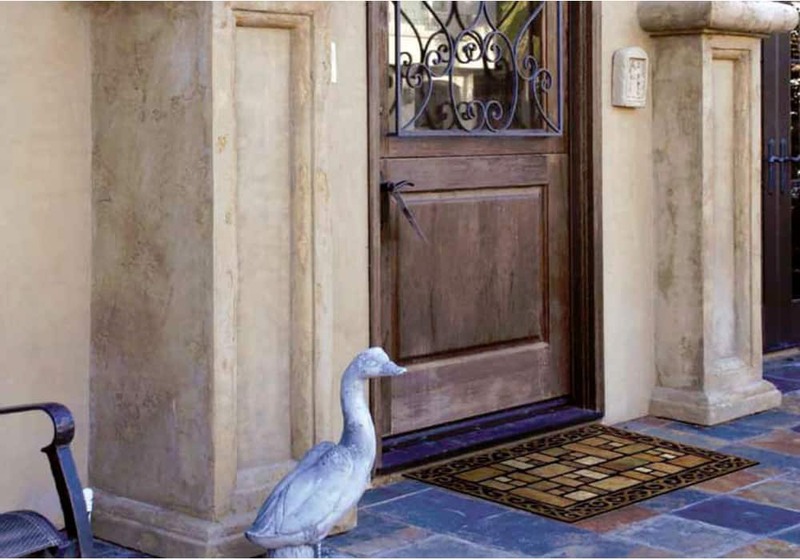 The entire base of these welcome door mats are made from recycled rubber tires, which provides durability and the weight helps to reduce movement. These outdoor doormats are easy to maintain: dirt, pet hair and lint won't damage the surface - simply hose off to clean. 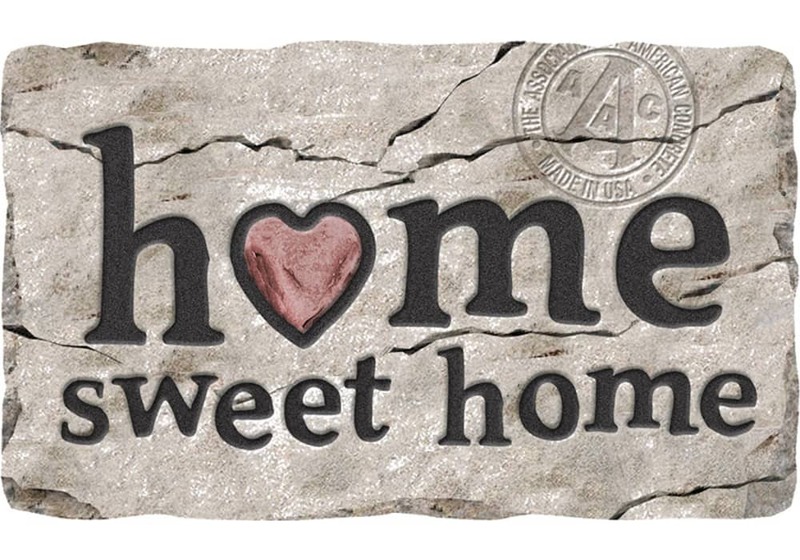 Whether you are looking for doormats with sayings (e.g. home sweet home, welcome mat, welcome home mat, welcome friends, love is all you need, live laugh love, etc.) or you are looking for beautiful, colorful, decorative outside door mats, we have the entry mat for you. Buy with confidence. Excellent quality and helps the environment. Our 100% recycled rubber back door mats are made from tire scraps. When you purchase this item, you are helping to keep America clean by keeping these tires out of landfills!